The hassle involved in dealing with harsh sun is the fastest way to take someone out of the zone, whether it be while running, biking, or simply relaxing. Sunglasses help but can easily prove unwieldy since they need to be put on and taken off multiple times, and sometimes very quickly at that. Initially developed for the U.S. Special Forces, the CTRL ONE is a hands-off solution to managing comfortable levels of light exposure. The glasses use e-Tint technology to automatically change between two tint stages in .1 second depending on the illumination threshold set by the user. True to their origins, the ballistic lens are bulletproof for maximum impact resistance. They also block 100% UV rays and feature fully adjustable nose and temple pads, so that wearing them over their 50 hours of charge never becomes uncomfortable. $165 nets backers relief from tricky sunlight by November 2015. CTRL ONE is looking for $20,000 in funding by August 14th, 2015. 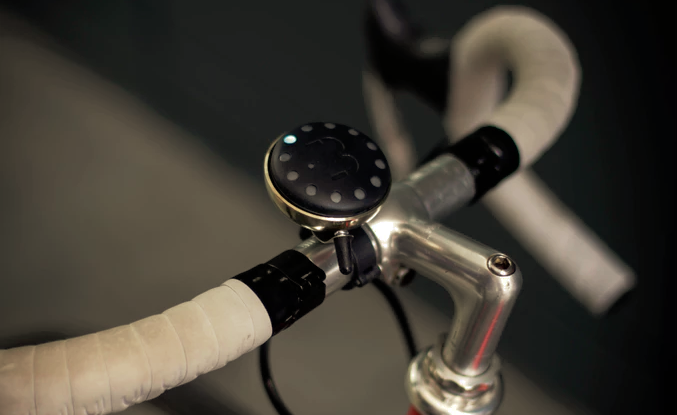 The CTRL ONE offers a much more practical experience in handling rapid changes in light when it comes to a variety of situations and avoids awkward products like the Bike Sunglass Holding Device when biking. While the technology is already present in motorcycle helmets and ski goggles, this is its first appearance in a more general form factor.